the Bar Association and Foundation, the First Circuit competition would simply not be all that it is. The First Circuit communities, schools, students, and parents are grateful for your time, your contributions, and your support. Local leaders look forward to this competition each year, and look forward to seeing all of you again in 2020. CONTINUING LEGAL EDUCATION ONLINE LIBRARY: CLE.ESRBA.COM ESRBA’s CLE Library is now digital! Go to cle.esrba.com to get your credits. Each download comes with the audio from the seminar, the PowerPoint/ handouts, and the CLE Certificate of Accreditation from The Florida Bar. The audio can be downloaded in any file type that you would like including MP3, FLAC, ALAC, AAC, Ogg Vorbis, WAV, and AIFF formats. For your convenience and ease of listening, the seminars can also be streamed directly from the library. If you are interested in presenting a CLE seminar or being recorded for a CLE accredited podcast, please email esrba@esrba.com. Justice on the Block – April 27 13th annual law Week legal clinic edition This year’s clinic will be held on Saturday, April 27 from 9 a.m. until noon in the Community Room of Richards Memorial U. M. C., 2600 W. Strong Street. Free legal advice will be provided to income-eligible individuals who cannot afford private counsel. Services will be provided on a first-come, first served basis based on lawyer availability. Attendees are asked to bring documentation and paperwork regarding their issue in question. Justice on the Block is a project of the Florida Bar Foundation and Legal Services of North Florida. Attorneys interested in volunteering are asked to contact Judy Naler at Legal Services of North Florida at 432-8222 extension 5008 or e-mail at Judy@ LSNF.org. 2019 Membership Directories Our supply of membership directories is limited. To obtain the most recent contact information for the Courts, Law Enforcement, Local Attorneys, Bail Bonds, and Voluntary Bars, purchase your copy as soon as possible. This edition will not be reprinted once it has sold out. Email esrba@esrba.com or call 434-8135 to reserve yours today. ESRBA’s new website is live and packed with great features. For starters, our Members Directory is now available online. Member’s contact information can be searched for in addition to firm, specialty listings, and other state bar admissions. The updated calendar displays all of our bar meetings and seminars as well as court holidays. The new site also hosts all of our applications for ESRBA membership, Young Lawyers Division membership, Courthouse ID Badges, and our Lawyer Referral Service. Additionally, credit card payments can be processed on the site which makes paying dues even easier. For those who are looking at expanding their client base, you can be featured on the homepage of the site under the Featured Listings section. Your name, photo, firm information, biography, and fields of practice will all be available to the public. First CIRCUIT JNC ANNOUNCES COUNTY COURT JUDICIAL VACANCY The 1st Judicial Circuit Judicial Nominating Commission announces a vacancy created on the County Court by the resignation of County Judge Joyce Williams. Applicants must have been a member of The Florida Bar for the preceding five years, registered voters and must be residents of the territorial jurisdiction of the court at the time of assuming office. Applications may be downloaded from the Office of the Governor’s website at www.flgov.com or The Florida Bar’s website. Applicants must deliver the following to the JNC chair by e-mail (pam@ langham.net) or by mail or hand delivery (Pamela E. Langham, Esq., 420 Canterbury Lane, Gulf Breeze, FL 32561) on nine separate flash drives: • A PDF version of the completed application and attachments, including the executed FDLE form, with a color photograph either in .jpg or .gif format. • A redacted PDF version of the application and attachments excluding all exempt information under Chapter 119, Florida Statutes, and other applicable public records law. The PDF files, executed FDLE form and color photograph either in .jpg or .gif format should be submitted by email or mail or hand delivery as listed above and should be named so that the applicant’s name and “redacted” or “original” is readily apparent in the name of the folder/file. All questions in the application must be answered fully and completely. Applications should include current and accurate contact information for judges, co-counsel, opposing counsel, and references because those individuals will likely be contacted. Deadline for submitting applications is April 11, by 5 p.m., Central Time. Incomplete applications or non-functioning electronic copies and applications received after the deadline may not be considered. Interviews are tentatively scheduled for April 25 or April 26. Members of the bench, bar and the public are encouraged to contact members of the commission concerning applicants for judicial positions. A complete listing for each member is available from The Florida Bar’s website. All proceedings of this Judicial Nominating Commission are open to the public except for deliberations. Accordingly, applicants should not expect their applications to be kept confidential. If an applicant is nominated, all materials attached to the original application will be submitted to Gov. DeSantis’ office. If there are any questions, please contact Pamela E. Langham, chair, at 3411369 or pam@langham.net. Update Your Information Our new website allows you to update your personal information as well as renew your dues online. To access these features, logins have been created for all of our members. The login credentials are: • Username: The email address we have on file for you • Password: first initial and last name all lower case With that, you can access the Member Renewal page, or access the login under For Attorneys to see your information and make desired changes. Please note: if you would like to change the headshot displayed, send the updated photograph to noah@esrba.com. Division Realignments Realignment of certain court divisions recently took place in Escambia and Santa Rosa Counties. Circuit Judges Marci Goodman and David Rimmer retired effective January 7, 2019. Judges Darlene Dickey and Scott Duncan transferred their service to the Santa Rosa bench to fulfill the vacancies. On January 8, 2019 the First Judicial Circuit welcomed Circuit Judges Lacey Powell Clark and Jeffrey L. Burns to the Escambia bench. Division assignments and contact information for all First Judicial Circuit judges may be found at www.FirstJudicialCircuit.org. 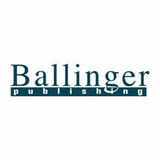 Published by Ballinger Publishing for the Escambia / Santa Rosa Bar Association. The Escambia County Board of County Commissioners is seeking Escambia County residents interested in volunteering to be considered for an appointment to four seats on the Escambia-Pensacola Human Relations Commission. The EPHRC was first established by an interlocal agreement between the Escambia County Board of County Commissioners and the city of Pensacola in April 1974. The purpose of the commission is to be responsible for the promotion of fair treatment and equal opportunity to all citizens of the local community. For this term, commission members, who are called commissioners, will serve an initial twoThe 14th annual April Nicole’s Autism Ride will take place rain or shine April 6, year term of office. Commissioners will establish a with registration at 9 a.m. and the ride departing at 11 a.m. It will be a 50-mile esschedule of regular meetings, which corted ride with everyone welcome, bikes, cars, trucks and everything in between. shall be held at least monthly. The Tickets are $15 per bike, $5 per passenger. For more information, call Steve Grant at 324-0295 or Malcom Reid at 393-4840.
commission meetings are held to discuss the previous month’s day-to-day activities and to ensure that the interlocal agreement between Escambia County, the city of Pensacola and the EPHRC are in compliance. Additional meetings may be held for special discussion, workshops, training sessions or community activities. Escambia residents interested in serving on the Escambia-Pensacola Human Relations Commission are asked to submit a resume and letter indicating their desire to serve on the commission by the close of business Wednesday, April 10. Resumes should be submitted to Judy Witterstaeter/Shamara Jernigan, Escambia County Board of County Commissioners, P.O. Box 1591, Pensacola, FL 32502, or emailed to BoardApply@myescambia.com. Have a community event or announcement? You can submit information for possible publication in Community by sending an e-mail to Kaitlyn@ballingerpublishing.com. Submissions must include the organization’s name and details about events including times, dates, locations and any costs involved. Contact information also is required. All submissions are subject to editing to comply with established standards. Items should be submitted at least one week in advance. Deadline is noon Friday for the following publication. and bacon) and a salad bar. Entrees will be BBQ pulled pork w/corn bread, soy glazed grouper with white rice and vegetable medley or chicken alfredo over linguine. Two drink tickets per person good for a domestic draft or glass of house wine will be provided. Entry is $20 per member and $25 per non-member. For more information, visit www.pensacolaskiandtravelclub.com. Santa Rosa County and began construction in 2016 on what is now called OLFX. Naval Facilities Southeast Region in Jacksonville, Navy Installations Command and Whiting Field coordinated with Escambia County to ensure requirements for the training mission at NAS Whiting Field were met for the new outlying field. On Jan. 29, the deeds were exchanged, finalizing the transfer. NAS Whiting Field opened Naval Outlying Landing Field-X for flight training operations on Jan. 30. NOLF Site 8 was originally constructed in 1940 as an auxiliary airfield for Pensacola NAS. At approximately 635 acres, Site 8, along with NOLFs Spencer and Pace, was one of the oldest NOLFs still in use until the land transfer with Escambia County in 2019. Site 8 was initially used as a fixed wing training field. The field had undergone several changes and was temporarily closed in the mid to late 1950s. In 1964, the NOLF was brought back into service as an NOLF to support NAS Whiting Field’s rotary-pilot training mission. The NOLF was used as a primary tactical training asset by TRAWING 5. The field provided facilities to support training in rotary tactics, confined area landings, platform landings, external loads missions, hot refueling and was tentatively studied to support night vision training. bring their own lawn chairs and blankets. Please note: pets and glass are prohibited. April lineup includes: • April 9: Rhinestone • April 16: Touch of Gray • April 23: The Legend Band • April 30: John Hart Project For more information, call the SRIA at 932-2257 or go to www.visitpensacolabeach.com. portions of the seashore are closed to all visitors. If visitors find themselves besieged by birds, it means that you are near an unmarked nesting area or young chicks. Please leave the area by backtracking; eggs are very small, well camouflaged, and hard to see. Intrusion into the nesting areas will cause the birds to take flight, leaving their nests vulnerable to heat and predators. The adult birds will often dive at intruders in an effort to drive them away from the colony. Alarmed birds may then fly low across the road and into the paths of oncoming vehicles. Created in 1971, the national seashore stretches 160 miles along the northern coast of the Gulf of Mexico in Florida and Mississippi, and includes barrier islands, maritime forests, historic forts, bayous, and marine habitat. Visit us at www.nps.gov/guis, on Facebook www. facebook.com/GulfIslandsNPS, Twitter www.twitter.com/GulfIslandsNPS, and Instagram www.Instagram.com/GulfIslandsNPS. More than 20,000 National Park Service employees care for America’s 418 national parks and work with communities across the nation to help preserve local history and create close-to-home recreational opportunities. Visit us at www. nps.gov, on Facebook at www.facebook. com/nationalparkservice and Twitter at www.twitter.com/natlparkservice. unloaded for you – no need to get out of your vehicle. HHW items can cause injury if handled improperly. These items will usually have a warning or cautionary statement on their labels, such as flammable, corrosive, poisonous or toxic and include items such as swimming pool chemicals, cleaners, drain openers, paint and paint products, fuels, gases, lawn and garden chemicals, aerosol cans and automotive repair and maintenance products. For more information about Regional Roundup events or proper disposal of waste, contact the Escambia County Waste Services Department at 9372160 or wasteservices@myescambia. com. ida bankrolled an amendment on the November ballot that is designed to make it harder to expand gambling in the state. Also, it has been common for out-of-state firms to be hired to gather petition signatures. Two environmental groups, however, chastised the House proposal because they argued it is designed to discourage citizens from pursuing ballot initiatives. “To us, this bill is transparent in that the Legislature wants sole authority to put things on the ballot,” said David Cullen, a lobbyist for the Sierra Club. “Have a little respect for future voters who disagree with you … that’s the essence of democracy.” State Rep. Joseph Geller, DAventura, was upset that committee members were not given more time to discuss the petition process under the proposal, which emerged this week. He said he agrees some restrictions ought to be in place, but that there was “too much coming too late.” “I think some restrictions are needed and we need to take a good look at this, but I feel rushed,” Geller said. Cabinet that the Panhandle faces a threat that could top the recent California wildfires. “Catastrophic fire in these kinds of events mean big aircraft that I’ve got to bring in under federal contract,” Karels said on March 12. “You could see fires that are running $10 (million) to $100 million, similar to the West, if we don’t get rid of the debris.” The entire debris total from Michael is considered 10 times the amount left by Hurricane Irma, which hit far more areas of the state in September 2017. Michael devastated the region’s timber industry, which accounted for $1.3 billion of the storm’s $1.5 billion in agriculture damage. The Department of Environmental Protection has estimated that removing trees from state waterways has already cost the state $19.4 million, a dent in the estimated $167 million needed to fully clear the waters. Another $8.6 million has been spent on recovery activities at state parks, where the restoration work is projected at $55 million. State park cleanup efforts after Irma and Hurricane Matthew in 2016 reached a combined $40 million. TALLAHASSEE – After rebuffing the legislation initially, a Senate panel gave approval Monday to a pared-back bill that would eliminate controversial regulations for Florida hospitals. The Senate Health Policy Committee voted 9-1 to revamp the state’s “certificate of need” laws, which require regulators to determine that there is a “need” before certain new health-care services can be offered or new facilities can be built. The bill (SB 1712) would maintain the regulations – which are designed to manage the growth of healthcare facilities – for nursing homes, hospices and socalled “tertiary” services. But it would eliminate the requirement that the state sign off on hospital construction, so long as the new hospitals have at least 100 beds and agree to meet minimum charity-care requirements. The new hospitals also would have to accept Medicare and Medicaid patients. “This is not your parents’ CON repeal bill,” said Sen. Aaron Bean, R-Fernandina Beach. But the Senate bill doesn’t have enough protections to assuage the fears of Elaine Thompson, president and chief executive officer of Lakeland Regional Health. Critics of eliminating the certificate of need program argue, in part, that a repeal could lead to new hospitals drawing insured patients from older facilities, some of which provide costly specialized services. the new sentencing scheme the Legislature decided on July 1,” Brandes explained during committee on Tuesday. With the Legislature able to make sentencing changes, Lee said he thinks it could help make criminal-justice reforms. “I honestly think it is going to make it easier to pass criminal justice reform,” Lee argued. “If we put ourselves in a posture where every member in the Legislature has to think about how this may automatically apply to a post-conviction population, then people are going be worried about who we’re letting out of jail.” Lee added that lawmakers would have to deal with the consequences in the “next mail piece” when they run for reelection. “I have been around long enough, and you all have gone through enough campaigns, to know what those mail pieces look like,” Lee said. But for people like Heroux, the “ray of hope” was the passage of Amendment 11. Audrey Hudgens, whose son, William, was sentenced to life in prison at age 21 for committing an armed robbery in the 1990s, said retroactive application of new sentencing laws is her only hope to see her son out of prison. Hudgens said her son was carrying a gun, but never used it. She added that her son committed the crime when he was doing “$300 of cocaine a day,” an addiction he struggled to brush off. “For 22 years, we have held onto every possibility of hope, including the overwhelming passage of Amendment 11,” Hudgens said in tears. “However, with this bill there is the presumption that future criminal justice reforms will not and should not be retroactive.” The bill must clear one more Senate committee before it can get a full floor vote. A similar measure is moving forward in the House. NeviN Shaffer The only local Florida bar certified Intellectual property law specialist and licensed patent attorney from here to Jacksonville! Specializing in helping people and businesses protect their ideas with patents, trademarks, copyrights and trade secrets! IN THE CIRCUIT COURT FOR ESCAMBIA COUNTY, FLORIDA IN RE: ESTATE OF SCOTT NELSON STEPHENS, Deceased. File No. : 2019 CP 281 DIVISION T NOTICE TO CREDITORS The administration of the estate of SCOTT NELSON STEPHENS, deceased, whose date of death was July 22, 2018, is pending in the Circuit Court for Escambia County, Florida, Probate Division, the address of which is 190 W Government St., Pensacola, FL 32502. The names and addresses of the personal representative and the personal representative’s attorney are set forth below. All creditors of the decedent and other persons having claims or demands against decedent’s estate, on whom a copy of this notice is required to be served, must file their claims with this court ON OR BEFORE THE LATER OF 3 MONTHS AFTER THE TIME OF THE FIRST PUBLICATION OF THIS NOTICE OR 30 DAYS AFTER THE DATE OF SERVICE OF A COPY OF THIS NOTICE ON THEM. All other creditors of the decedent and other persons having claims or demands against decedent’s estate must file their claims with this court WITHIN 3 MONTHS AFTER THE DATE OF THE FIRST PUBLICATION OF THIS NOTICE. ALL CLAIMS NOT FILED WITHIN THE TIME PERIODS SET FORTH IN FLORIDA STATUTES SECTION 733.702 WILL BE FOREVER BARRED. NOTWITHSTANDING THE TIME PERIOD SET FORTH ABOVE, ANY CLAIM FILED TWO (2) YEARS OR MORE AFTER THE DECEDENT’S DATE OF DEATH IS BARRED. IN RE: ESTATE OF Venita Ann Bonner aka Venita A. Bonner Deceased. The date of first publication of this notice is: April 3, 2019. IN RE: ESTATE OF UNA OWEN ENIKEIEFF Deceased. Signed on this 7th day of Feb, 2019. NOTICE TO CREDITORS The administration of the estate of Venita Ann Bonner aka Venita A. Bonner, deceased, whose date of death was February 3, 2019, is pending in the Circuit Court for Santa Rosa County, Florida, Probate Division, the address of which is 6865 Caroline Street, Milton, Florida 32570-0472. The names and addresses of the personal representative and the personal representative’s attorney are set forth below. All creditors of the decedent and other persons having claims or demands against decedent’s estate on whom a copy of this notice is required to be served must file their claims with this court WITHIN THE LATER OF 3 MONTHS AFTER THE TIME OF THE FIRST PUBLICATION OF THIS NOTICE OR 30 DAYS AFTER THE DATE OF SERVICE OF A COPY OF THIS NOTICE ON THEM. All other creditors of the decedent and other persons having claims or demands against decedent’s estate must file their claims with this court WITHIN 3 MONTHS AFTER THE DATE OF THE FIRST PUBLICATION OF THIS NOTICE. IN RE: ESTATE OF BETTYE T. GALYEAN Deceased. The date of first publication of this notice is March 27, 2019. IN THE CIRCUIT COURT IN AND FOR ESCAMBIA COUNTY, FLORIDA PROBATE DIVISION IN RE: ESTATE OF CHRISTOPHER WILLIAM CONNOR Deceased. FILE NO. : 2019 CP 000350 DIVISION: U NOTICE TO CREDITORS The administration of the estate of CHRISTOPHER WILLIAM CONNOR deceased, File Number 2019 CP 000350 is pending in the Circuit Court for Escambia County, Florida, Probate Division, the address of which is 190 Governmental Center, Pensacola Florida 32502. The names and addresses of the Personal Representative and the Personal Representative’s attorney are set forth below. All creditors of the Decedent and other persons having claims or demands against Decedent’s estate, including unmatured, contingent or unliquidated claims, on whom a copy of this notice is served must file their claims with this court WITHIN THE LATER OF 3 MONTHS AFTER THE DATE OF THE FIRST PUBLICATION OF THIS NOTICE OR 30 DAYS AFTER THE DATE OF SERVICE OF A COPY OF THIS NOTICE ON THEM. All other creditors of the Decedent and other persons having claims or demands against Decedent’s estate, including unmatured, contingent or unliquidated claims, must file their claims with this court WITHIN 3 MONTHS AFTER THE DATE OF THE FIRST PUBLICATION OF THIS NOTICE. ALL CLAIMS NOT SO FILED WILL BE FOREVER BARRED. The date of first publication of this Notice is April 3, 2019. TO: BETHLEHEM GRAND CHAPTER ORDER O THE EASTERN STAR FLORIDA JURISDICTION PHA INC. IN THE CIRCUIT COURT OF THE FIRST JUDICIAL CIRCUIT OF FLORIDA, IN AND FOR ESCAMBIA COUNTY CIVIL DIVISION FREEDOM MORTGAGE CORPORATION Plaintiff, vs. RYAN M. ALBERQUE, MELISSA ALBERQUE, et al. Defendants. Case No. 2019 CA 000099 Division J NOTICE OF ACTION TO: RYAN M. ALBERQUE BELIEVED TO BE AVOIDING SERVICE OF PROCESS AT THE ADDRESS OF: 3005 KECK ROAD MOLINO, FL 32577 MELISSA ALBERQUE BELIEVED TO BE AVOIDING SERVICE OF PROCESS AT THE ADDRESS OF: 3005 KECK ROAD MOLINO, FL 32577 UNKNOWN TENANTS/OWNERS 1 BELIEVED TO BE AVOIDING SERVICE OF PROCESS AT THE ADDRESS OF: 3005 KECK ROAD MOLINO, FL 32577 You are notified that an action to foreclose a mortgage on the following property in Escambia County, Florida: PARCEL 1: COMMENCE AT THE SOUTHWEST CORNER OF SECTION 17, TOWNSHIP 2 NORTH, RANGE 31 WEST, ESCAMBIA COUNTY, FLORIDA, THENCE GO NORTH 00 DEGREES 11 MINUTES 46 SECONDS WEST ALONG THE WEST LINE OF SAID SECTION A DISTANCE OF 1329.57 FEET TO THE SOUTHWEST CORNER OF THE NORTHWEST QUARTER OF THE SOUTHWEST QUARTER OF SAID SECTION; THENCE GO SOUTH 90 DEGREES 00 MINUTES 00 SECONDS EAST ALONG THE SOUTH LINE OF SAID NORTHWEST QUARTER OF THE SOUTHWEST QUARTER A DISTANCE OF 409.53 FEET TO THE POINT OF BEGINNING, THENCE CONTINUE SOUTH 90 DEGREES 00 MINUTES 00 SECONDS EAST ALONG SAID SOUTH LINE A DISTANCE OF 573.34 FEET, THENCE GO NORTH 00 DEGREES 11 MINUTES 46 SECONDS WEST A DISTANCE OF 360.00 FEET, THENCE GO NORTH 90 DEGREES 00 MINUTES 00 SECONDS WEST A DISTANCE OF 553.34 FEET, THENCE GO NORTH 00 DEGREES 11 MINUTES 46 SECONDS WEST A DISTANCE OF 969.57 FEET TO THE NORTH LINE OF THE NORTHWEST QUARTER OF THE SOUTHWEST QUARTER OF SAID SECTION, THENCE GO NORTH 90 DEGREES 00 MINUTES 00 SECONDS WEST ALONG SAID NORTH LINE A DISTANCE OF 20.00 FEET, THENCE GO SOUTH 00 DEGREES 11 MINUTES 46 SECONDS EAST A DISTANCE OF 1329.57 FEET TO THE POINT OF BEGINNING. AND PARCEL 2: COMMENCE AT THE SOUTHWEST CORNER OF SECTION 17, TOWNSHIP 2 NORTH, RANGE 31 WEST, ESCAMBIA COUNTY, FLORIDA, THENCE GO NORTH 0 DEGREES 11 MINUTES 46 SECONDS WEST ALONG THE WEST LINE OF SAID SECTION A DISTANCE OF 1329.57 FEET TO THE SOUTHWEST CORNER OF THE NORTHWEST QUARTER OF THE SOUTHWEST QUARTER OF SAID SECTION; THENCE GO SOUTH 90 DEGREES 0 MINUTES 0 SECONDS EAST ALONG THE SOUTH LINE OF SAID NORTHWEST QUARTER OF THE SOUTHWEST QUARTER A DISTANCE OF 982.96 FEET, THENCE NORTH 0 DEGREES 11 MINUTES 46 SECONDS WEST 360 FEET FOR THE POINT OF BEGINNING, THENCE CONTINUE NORTH 0 DEGREES 11 MINUTES 46 SECONDS WEST 304.69 FEET, THENCE NORTH 90 DEGREES 0 MINUTES 0 SECONDS WEST 327.62 FEET, THENCE NORTH 0 DEGREES 11 MINUTES 46 SECONDS WEST 664.78 FEET TO THE NORTH LINE OF THE NORTHWEST QUARTER OF THE SOUTHWEST QUARTER OF SAID SECTION, THENCE NORTH 90 DEGREES 0 MINUTES 0 SECONDS WEST ALONG SAID NORTH LINE 225.7 FEET, THENCE SOUTH 0 DEGREES 11 MINUTES 46 SECONDS EAST 969.57 FEET, THENCE SOUTH 90 DEGREES 0 MINUTES 0 SECONDS EAST 553.34 FEET TO THE POINT OF BEGINNING. NOTICE UNDER FICTITIOUS NAME STATUTE Notice is hereby given that the undersigned, desiring to engage in business under the fictitious name of JOIFULL ACCESSORIES, located in Escambia County, with the address of 810 W Jordan Street, Pensacola, FL 32501, intends to register the said name with the Florida Department of State, Division of Corporations, Tallahassee, FL.